Nick Robins explores the ships that came to the Pool of London throughout history. Discover your creative potential through making these 15 beautiful symbols that will bring peace, wisdom and harmony into your home. Create fun and adorable origami projects in a few minutes with the origami papers and simple instructions in this easy origami kit! Endorsed by the Chartered Institute of Marketing CIM, this short course 40-60 hours uses practical tasks and realistic scenarios to develop the specialist language and communication skills needed for a career in marketing. Secret Origami, Shhh! 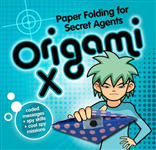 Learn how to smuggle your secret messages by folding them into beautiful paper shapes with these fun origami books. Emphasizing the role of vegetation layers and designed plant communities in complex and diverse plant assemblages for all kinds of sites and uses, this book provides a complete examination of principles and practice of design for public, institutional and private landscapes. Live From Downing Street takes us on an absorbing journey through the history of this power struggle, dwelling in fascinating detail on the charismatic key players from radio and television - the Dimblebys, Day, Frost, Walden, Paxman, Humphrys - and those who fought back - Churchill, Wilson, Thatcher and Blair.